FURUTECH G-314AG-15PLUS. LUNGHEZZA 1,5 MT. AUDIOTEKA E' RIVENDITORE UFFICIALE FURUTECH IN ITALIA. · Corpo esterno in lega di alluminio antiossidante. · Lunghezza totale: 49,50 mm. FURUTECH FT-212 G SET 4 BANANE. SIAMO RIVENDITORI AUTORIZZATI HI FIDELITY. AUDIOTEKA E' RIVENDITORE UFFICIALE FURUTECH IN ITALIA. Set di 4 connettori a Forcelle placcate Oro 24k | custodia in Nylon e fibra di vetro con resina ceramica piezoelettrica. • Conduttori in rodio monoblocco per FT-211 (R) o conduttori alfa placcati oro 24K con iniezione di resina POM per FT-211 (G). FURUTECH EVOLUTION POWER II FI-E11. FURUTECH AG-12 (DIN-RCA) 1.2 MT. LUNGHEZZA 1.20 MT. G 320 AG 18 E SCHUKO OFC. FURUTECH EVOLUTION SPEAKER II 04 2 MT. PREZZO RIFERITO PER COPPIA ( DESTRO SINISTRO). FURUTECH POWER REFERENCE III FI-E35. VAN DEN HUL MAINSSTREAM HIBRID with FURUTECH FI- E35 (G) e FI-25G. OFC ed all'Argento, nel cavo è presente anche della fibra di carbonio conduttiva. - Resistance 20 ° C: 1 Ohm / 100m for the combined conductors and 0.22 Ohm / 100m for the screen. FURUTECH SPEAKERFLUX 04 2 MT. PREZZO RIFERITO PER COPPIA ( DESTRO SINISTRO). FURUTECH SPEAKER REFERENCE III BW 04. PREZZO RIFERITO PER COPPIA ( DESTRO SINISTRO). FURUTECH FORMULA 2. Cavo USB 1.2 METRO. Hi-Fi di interconnessione. Furutech Formula 2 USB Cable. Hi Fi Interconnect. Used to connect my M-DAC to my Fanless PC. 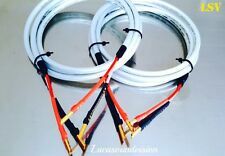 Nordost Valhalla Power Cord Stromkabel 2m mit Furutech FI 50 NCF Noch immer eins der besten Stromkabel. Vor allem mit den neuen Furutech NCF Stecker noch mal deutlich besser. Spielt damit nahezu auf Odin Niveau. Tatsächliche Länge 2,18m Privatverkauf. Keine Gewährleistung oder Garantie von meiner Seite. Noch immer ein absolutes Highend Stromkabel. Legt gegenüber dem auch schon sehr guten Valhalla noch mal klar zu. Mehr Tiefgang, Druck, Auflösung, Volumen und Transparenz. Ein ODIN vor die Netzleiste wirkt Wundern. Detailfotos folgen. Wurde von einem längeren Kabel konfektioniert. Länge ca. 1,25m Mit den derzeit klar besten Steckern den Furutech FI-50 NCF konfektioniert. Privatverkauf: Keine Garantie oder Gewährleistung. Absolutes Spitzenkabel original konfektioniert mit Furutech Steckern und damit klanglich noch mal deutlich besser als mit Neutrik. 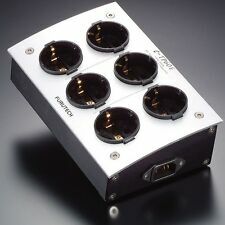 FURUTECH FI-50 NCF (R) Tappo d'ingresso High-End. MPN FI-50 NCF (R). Model FI-50 NCF (R). Spina, manuale. Ponticello di terra ■ tipo "anello breve funzione di evoluzione" di ieri installato. Siamo venditori di Giappone. Furutech’s α (Alpha) PC-Triple C is one of a select few of conductors that Furutech engineers have found to excel in sound reproduction. α (Alpha) PC-Triple C is made with Furukawa high-purity oxygen-free copper using a special forging process. Furutech FI-11 Cu Performance IEC Connector. Furutech FP-704 (G) Headphone Jack. Insulation Resistance: 2500 MΩ‧km, JISC3005 9.1 20℃. Conductor Resistance: 2.4 Ω／km, JISC3005 6 20℃. 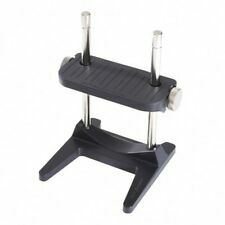 KAB Super Record Grip (Bubble Level & Record Clamp) manda_speedfreak(90). FURUTECH FT-111G spina di alta qualità RCA / 24K placcato in oro 4 pezzi H1732. ISBN 4582237538786. MPN Does not apply. 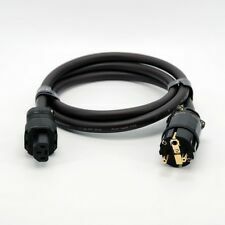 Furutech Alpha Line 2 1.0m RCA Interconnects. Digital Interconnects. Sub-Woofer Interconnects. • High Performance FP-160 α (Alpha) copper alloy gold plated RCA connectors. • α (Alpha) U-OFC solid core conductor (Balanced type). Tappo in entrata 20 High-end FURUTECH FI-52 NCF (R). MPN FI-52 NCF (R). Model FI-52 NCF (R). Spina, manuale. Ponticello di terra ■ tipo "anello breve funzione di evoluzione" di ieri installato. Siamo venditori di Giappone. [img-23007-left-thickbox_default]. Longueur : 1.5m. Couleur : noir. 250V AC / 10A. Type : 2 pôles terre. Connecteurs : NeotechNC-P312 Schuko et NeotechNC-P303 IEC plaqué Or. Diamètre Total du Câble : 13mm. As dedicated audiophiles ourselves we care about system synergy and realize that cables and accessories can make a vast difference to the listening pleasure from your hi-fi system and the picture quality of your AV sources. Furutech MCRU special edition pure copper mains plug cryo treated and fitted with a gold plated 13A fuse, Furutech copper IEC cryo treated, acoustic braiding fitted over the cable to absorb resonances. Furutech is justifiably proud of its reputation for engineering, build-quality and performance, and have won the loyal support of audio enthusiasts worldwide for their finely made and beautiful sounding cables and audio accessories. Furutech Formula 2 USB Cable. 1.2 metre. Hi Fi Interconnect. 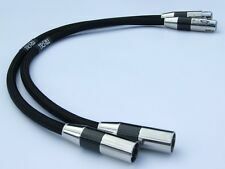 FURUTECH FS-301 Audio Speaker Cable 2x 3m A Pair Terminated.